Literature represents a language or a people: culture and tradition. But, literature is more important than just a historical or cultural artifact. Literature introduces us to new worlds of experience. We learn about books and literature; we enjoy the comedies and the tragedies of poems, stories, and plays; and we may even grow and evolve through our literary journey with books. Ultimately, we may discover meaning in literature by looking at what the author says and how he/she says it. We may interpret the author's message. In academic circles, this decoding of the text is often carried out through the use of literary theory, using a mythological, sociological, psychological, historical, or other approach. To know the main theme of the novel, The Count of Monte Cristo, by Alexander Dumas. To describe the construction of main theme of the novel, The Count of Monte Cristo, by Alexander Dumas. For students of A class to discuss the whole problems of the study of theNovel. Literature is the universal work, talking about literature means talking about all aspects of literature, where aspects in literature are too general and need to be narrowed. Theme is common description story of novel. In this chapter, the problem will be talked about are about review of related literature, that consist of literature, prose fiction, Values, messages, background of the author and the previous studies. In Patterns of Genre Fiction Readers: A Survey of Durham County Library Patrons, Gundlach approaches genre fiction through readers’ advisory services offered by the public library. The author focuses on the appeal of genre fiction to patrons who frequent the adult fiction section of the library. The author’s study is directed towards patterns of reading interests and finding similar vocabulary between patrons and librarians when dealing with fiction genres (10). Through Gundlach’s surveys in Durham’s libraries, one is able to see the genres in which patrons of various age groups have the most interest. She has narrowed it down to eight different genres by using Saricks’ The Reader’s Advisory Guide to Genre Fiction and examining the reading interests and crossover patterns in genre fiction (Gundlach 11). Saricks’ text proves to be a useful guide for defining the specific genres possible for classification of fiction. She has fifteen chapters all dealing with a specific genre, from “Adventure” to “Women’s Lives and Relationships” (15, 370). Saricks does address the fact that some readers prefer to have series their author wrote or books that are similar kept separately from other materials, she says “some genres are easier to separate than others” (225). Saricks is not afraid to address some of the issues that arise when discussing genre categorization, “we place authors in genres where we think the readers are most likely to discover them, but the blurring of the borders of the genres is becoming more frequent” (178). Amy Richard’s paper Genre Fiction Classification: a Study of the Durham County Library involves a deeper look at genre fiction classification but also treats the aspect of browsing as a means of finding books. Through her literature review she addresses browsing in several different ways, since browsing is a somewhat vague, but apparently very effective way for patrons to find materials. Richard’s study focuses on “the impact that the separation of the fiction collection into genre categories has on its library fiction users at the DCL Main Branch” (13). Since the current study does intend to focus on both genre fiction classification and also on browsing, Richard’s work is one of the most useful sources for this research question. This study attempts to build on the earlier study longitudinally by looking at circulation records at a later point in time and comparing the results to what Richard found in 1999. Another broad survey that emphasizes the importance of browsing is discussed in the chapter on “Organizing Fiction for Use” by Sear and Jennings, in Managing Fiction in Libraries. This survey examines the ease of the patron’s ability to locate fiction titles (105). The authors address categorization of genre fiction, as well as other options, such as spine labeling, that do not involve physical separation (108-110). Thus potential compromise classifications between the general fiction shelving and genre fiction classification can emerge. Sear and Jennings recognize the importance of browsing, “Clearly, browsing, not reading reviews, or looking at catalogues and lists is the way readers discover new authors” (105). Browsing creates a vital link for readers; to go from an author for whom they have read all of the works to a newly discovered author, possibly in a new style of writing. 2.1 Prose FictionAccording to Kenedy (1960, in Hafizah, 2007:8) fiction is named for stories not entirely factual, but the last partially shaped, made up, imagined. 2.1.1 Classification of Fiction According to Tarigan (in Eni Kholifah: 9) there are various classifications of fiction according to the form it may take, but the most common classification is shot story, novel and novelette. 2.1.1.1 Short StoryA short-short story is usually between 500 and 1500 words in length. It tells a complete story, including characters, setting, conflict, and resolution. Often they have surprise endings. A subset of the short-short story is micro-fiction, which only consists of around 300 words. This type of writing requires that every word be essential to the story. There is no room for detailed description.Vignettes, as seen in a play, are similar to short-shorts to a degree. A vignette is a short scene that focuses on one event or gives one impression about a character. The big difference is that the vignette has no real plot or story. According to wikipedia, a short story is a work of fiction that is usually written in prose, often in narrative format. This format tends to be more pointed than longer works of fiction, such as novellas (in the 20th and 21st century sense) and novels or books. According Koesno Soebroto (1988: 11 in Tanti Yulia Ratna: 14), short story is the essence of economy, consisting of approximately 2,000 words, but lenght is the sole criteria for short story. And Kenedy (in Mustofa: 2005: 6 in Eni Kholifah: 6) says that short story is more than just squence of happening. 2.1.1.2 NovelA fiction novel or book typically runs from 60,000 to 125,000 words. The plot and characters are complex and often need many pages to be developed. Romance and western paperbacks usually run around 60,000 words. There are also epic novels that are over 250,000 words. A rule of thumb is that 120 pages of material written on 8 1/2 X 11 inch paper in 12-pt Times New Roman will result in about 200 pages in a 6 X 9 inch paperback. According to mustofa (2005), novel is a form of literary work, which has become a dominant form of literary writing in most societies over the past years. Hat is a Novel? E.M. Forster in Aspects of the Novel cites the definition of a Frenchman named Abel Chevalley: "a fiction in prose of a certain extent" and adds that he defines "extent" as over 50,000 words. 2.1.1.3 NoveletteNovelette is derived from the word novel, which is added by suffix “ette” means small (Eni Kholifah: 10). So, novelette’s contain is smaller than novel. Tarigan (in Eni Kholifah: 10) says that novelette is literally a little novel. 2.1.2 Element of FictionAt this point, you want to include anything, anything, that might be useful, and you also want to avoid the temptation to arrive at definite conclusions about your topic. Remember that one of the qualities that makes for a good interpretation is that it avoids the obvious. You want to develop complex ideas, and the best way to do that is to keep your ideas flexible until you’ve considered the evidence carefully. A good gauge of complexity is whether you feel you understand more about your topic than you did when you began (and even just reaching a higher state of confusion is a good indicator that you’re treating your topic in a complex way). 2.1.2.1 PlotIs the string of events that go into the narrative. Think of this as the "who did what to whom" part of the story. Plots can be significant in themselves since chances are pretty good that some action in the story will relate to your main idea. For my paper on education in Frankenstein, I’m interested in Victor’s going to the University of Ingolstadt to realize his father’s wish that Victor attend school where he could learn about a another culture. Plots can also allow you to make connections between the story you’re interpreting and some other stories, and those connections might be useful in your interpretation. For example, the plot of Frankenstein, which involves a man who desires to bring life to the dead and creates a monster in the process, bears some similarity to the ancient Greek story of Icarus who flew too close to the sun on his wax wings. Both tell the story of a character who reaches too ambitiously after knowledge and suffers dire consequences. 2.1.2.2 Point of view That is, who is telling the story and what do they or don’t they know. Is t2he tale told by an omniscient or all-knowing narrator who doesn’t interact in the events, or is it presented by one of the characters within the story? Can the reader trust that person to give an objective account, or does that narrator color the story with his or her own biases and interests? 2.1.2.2 Character refers to the qualities assigned to the individual figures in the plot. Consider why the author assigns certain qualities to a character or characters and how any such qualities might relate to your topic. For example, a discussion of Victor Frankenstein’s education might take into account aspects of his character that appear to be developed (or underdeveloped) by the particular kind of education he undertakes. Victor tends to be ambitious, even compulsive about his studies, and I might be able to argue that his tendency to be extravagant leads him to devote his own education to writers who asserted grand, if questionable, conclusions. 2.1.2.4 Setting Is the environment in which all of the actions take place. What is the time period, the location, the time of day, the season, the weather, the type of room or building? What is the general mood, and who is present? All of these elements can reflect on the story’s events, and though the setting of a story tends to be less conspicuous than plot and character, setting still colors everything that’s said and done within its Montext. If Victor Frankenstein does all of his experiments in "a solitary chamber, or rather a cell, at the top of the house, and separated from all the other apartments by a staircase" (53) we might conclude that there is something anti-social, isolated, and stale, maybe even unnatural about his project and his way of learning. Be supported by a consideration of character alone. That’s fine. For my Frankenstein paper, I’m finding that my evidence largely has to do with the setting, evidence that could lead to some interesting conclusions that my reader probably hasn’t recognized on his or her own. Dumas' paternal grandparents were Marquis Alexandre-Antoine Davy de la Pailleterie, a French nobleman and Général commissaire in the Artillery in the colony of Saint-Domingue — now Haiti — and Marie-Cesette Dumas, an Afro-Caribbean Creole of mixed French and African ancestry. Their son, Thomas-Alexandre Dumas, married Marie-Louise Élisabeth Labouret, the daughter of an innkeeper. Thomas-Alexandre, then a general in Napoleon's army, fell out of favor and the family was impoverished when Dumas was born. Thomas-Alexandre Dumas died in 1806, when his son was still an infant. His widow was unable to provide her son with much of an education, but Dumas read everything he could obtain. His mother's stories of his father's bravery during the years of Napoleon I of France inspired Dumas' vivid imagination for adventure. Although poor, the family had their father's distinguished reputation and aristocratic position. In 1822, after the restoration of the monarchy, twenty-year-old Alexandre Dumas moved to Paris, where he worked at the Palais Royal in the office of duc d'Orléans (Louis Philippe). This part covers the discussion about research design, approach, source of data, data collecting technique, and data analysis procedure. 3.1 Research DesignDesign research investigates the process of designing in all its many fields. It is thus related to Design methods in general or for particular disciplines. A primary interpretation of design research is that it is concerned with undertaking research into the design process. Secondary interpretations would refer to undertaking research within the process of design. The overall intention is to better understand and to improve the design process. Design Research emerged as a recognisable field of study in the 1960s, initially marked by a conference on Design methods at Imperial College London, in 1962. It led to the founding of the Design Research Society (DRS) in 1966. John Christopher Jones (who initiated the 1962 conference) founded a postgraduate Design Research Laboratory at the University of Manchester Institute of Science and Technology, and L. Bruce Archer founded the postgraduate Department of Design Research at the Royal College of Art, London, becoming the first Professor of Design Research. 3.2 Approach Approach is the way how to Approach means attaining a goal or purpose and working with literature study (Webster, 1991: 67). The scientists developing approaches uses cutting-edge techniques to study human tissue and animal models and made possible several important findings in the course of the study. So approach is the way how to reach something. In the end, the researcher took formalist approach. 3.3 Data SourceThe study has two sources of data namely primary source and scondary source. The primary is taken from the novelette, The Count of Monte Cristo , by Alexandre Dumas. 3.4 Research InstrumentLincoln and Guba (1985) in Donald Ary (2002: 424) in Tanti Yulia Ratna (2007: 36) introduced the concept of human-as-instrument to emphasize the unique role that qualitative researcher play in their inquiry. Recording the data that had been found. Try to find data support on in internet. According to Setyowati (2005:24) data analysis is to group. Make sequences and shorten data to be read easily. In the scientific methode, data analysis is something crucial, as it can give a useful meaning and sense in solving the problems of research. Identifying the sentences, paragraph or dialogues containing themes as stated problem. Arranging the appropriate and selected data, analyzing the meaning and messages based on the relevant references. 4.1.1 LoveIn the novel The Count of Monte Cristo thare are story about love, that is story Dantes with Marcedes, and any other peaple love Marcedes too. So, the Love story in this novel is complek love story. 4.1.2 HappinessEvery novel always there are happiness story, in the novel The Count of Monte Cristo is Love there some of happiness story, the story about party, the true love, and the wind of Edmon Dantes. (that is conversation between Dantes and someone, in the conversation above we can get information that Dantes feel happy, and the people too). 4.1.3 The limit of Human Justice It means that in the novel The Count of Monte Cristo there bad condition, that is about discrimination in other people, for example story of Dantes, he takes justice into his own hands because he is dismayed by the limitations of society’s criminal justice system. (you can understand the meaning of sentence above, there is discrimination. Any someone want to kill other). ...do not call the police, as it make harm me, as you are brave, you need only hide yourself...page 84. 4.2 The theme’s construction in the novel “The Count of Monte Cristo”The researcher has analyzed how the themes constructed in the novel. The researcher found that the themes were constructed by the events or moments happened in the story. There are three events appear most in it, they are love, Happiness, and The Limit of Human Justice. If you want to download this file in Microsoft Word format, here link to download : Final Project Research in Literature - Analysis of Novel The Count of Monte Cristo. 1. LoveIn the novel The Count of Monte Cristo thare are story about love, that is story Dantes with Marcedes, and any other peaple love Marcedes too. So, the Love story in this novel is complek love story. 2. HappinessEvery novel always there are happiness story, in the novel The Count of Monte Cristo is Love there some of happiness story, the story about party, the true love, and the wind of Edmon Dantes. 3. The Limit of Human Justice It means that in the novel The Count of Monte Cristo there bad condition, that is about discrimination in other people, for example story of Dantes, he takes justice into his own hands because he is dismayed by the limitations of society’s criminal justice system. 5.2. 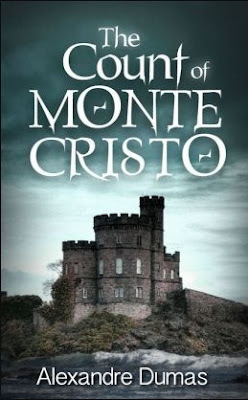 Suggestion The researcher hopes that the analysis of the novel “The Count of Monte Cristo” useful for the reader, and especially for the researcher own. The researcher know that the analysis this novel is so pure analysis, but in this analysis there are some massage which can take as experience in our live. May God bless us, Amin. If you like to this articles, please share..